While busiest hours for lunch remain 12 to 3PM, dinner was generally ordered between 7 to 11PM in all metros where the study was conducted. No matter how fancy we get and how much we follow global trends? Indians will remain local at their heart. Beating this in the race of most preferred cuisine in a Survey conducted by Swiggy in top seven cities in India, it shows that Indian loves their own cuisine over other popular foods. 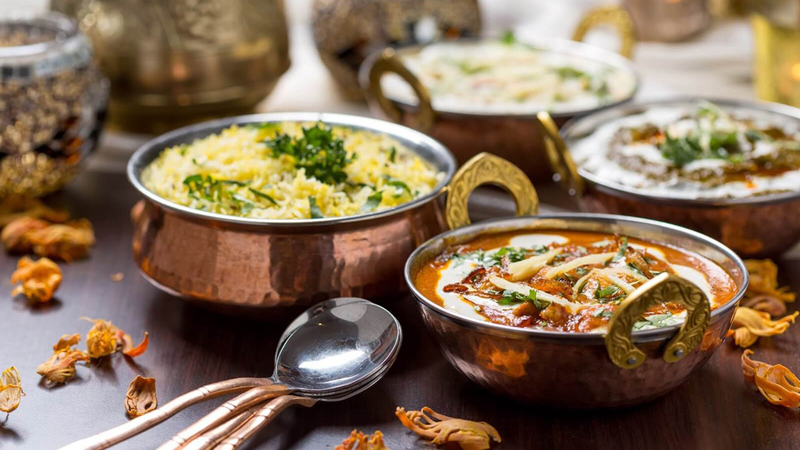 Leaving behind its competitors Chinese and American foods, in main course, the Indian cuisine in its various north and south avatars emerged more popular. Chicken biryani tops the list in top six cities including Mumbai, Bengaluru, Hyderabad, Pune, Kolkata and Chennai, except Delhi where people gauge on Punjabi cuisine and especially their favourite ‘Butter Naan and Daal Makhani’ followed by chole bhature, egg rolls, masala dosa and pav bhaji. However, popularly called as ‘Biryani capital’ Hyderabad has customers who love to eat biryani even during snack time between 3pm to 6 pm and after 10 pm midnight when other cities saw orders ranging from burgers, rolls, vada pav and other street foods and drinks. Whereas regional cuisines held sway in their geographies and in diametrically opposite locations. For example Delhi-NCR, apart from ordering chole bhature, loved to order masala dosa. Similarly, Chennai showed a healthy appetite for north Indian delicacies. Mumbai remained truly cosmopolitan by ordering from every cuisine, and Chinese dishes found favour mostly in Delhi-NCR and Kolkata. Koramangala, Indiranagar, Central Bengaluru remain at the top when it comes to busiest locations in ordering food in Bengaluru. Andheri East & West, Powai followed the same route when it comes to getting the food delivered at ease in Mumbai. However, to much surprise Janakpuri, Greater Kailash II and Malviya Nagar in Delhi is ahead of any locations in the city keeping them in the list of areas busy ordering food instead of going out to eat. While busiest hours for lunch remain 12 to 3 PM, dinner was generally ordered between 7 to 11 PM in all metros where the study was conducted. Customers were also keen on getting economical food delivered at home; Pune came out as the most price-conscious city due to its large student population. Rest of the locations did not seem to see price as a barrier to get good food home delivered instantly. Challenges in Running an Edu-tech Business..
'Be Experimental with Regional Cuisines'..
A food to die for!!!.. QSR: One of the Most Lucrative Biz Option..